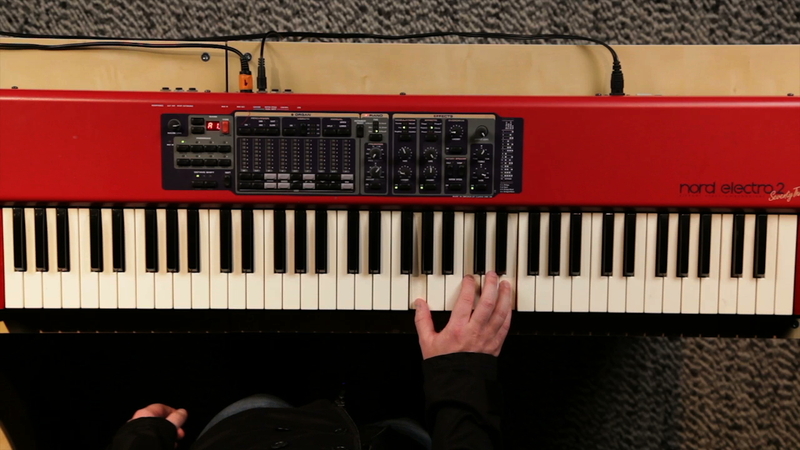 Ian goes over how to attack the keyboard to achieve appropriate feel and overall tone of the keyboard to achieve the desired effect for the many dynamic facets of a worship set, from huge and high energy to sweet, tender prophetic moments and every where in between. Depending on how hard you hit the keyboard, it will play a different sample. Velocity switches – a velocity curve, you can set this. A soft velocity lends itself to being really good at quiet moment , whole notes, patterns during quiet moments, but not great as a rhythm. Medium velocity is typically good for quarters. 1/8 note rhythm, making the downbeat accented will add the groove. Ian demonstrates how adding an octave can be beneficial in the higher register and playing at a higher velocity.